ee me & pollock thee accounts a relationship between poet E. E. Cummings and painter Jackson Pollock. The two artists journey to the dark heart of inspiration in this multidisciplinary extravaganza. As poet and painter wrestle their muse, mutual obsession and mystical appropriation ensue. This modern opera with live musical accompaniment explores the cost of great art and dangerous genius. Dramatic scenes are interwoven with original musical compositions and operatic performance of E. E. Cummings poems. Goat in the Road Productions’ Chris Kamenstein will direct, and Francis Scully, conductor of the New Resonance Orchestra, will serve as musical director. 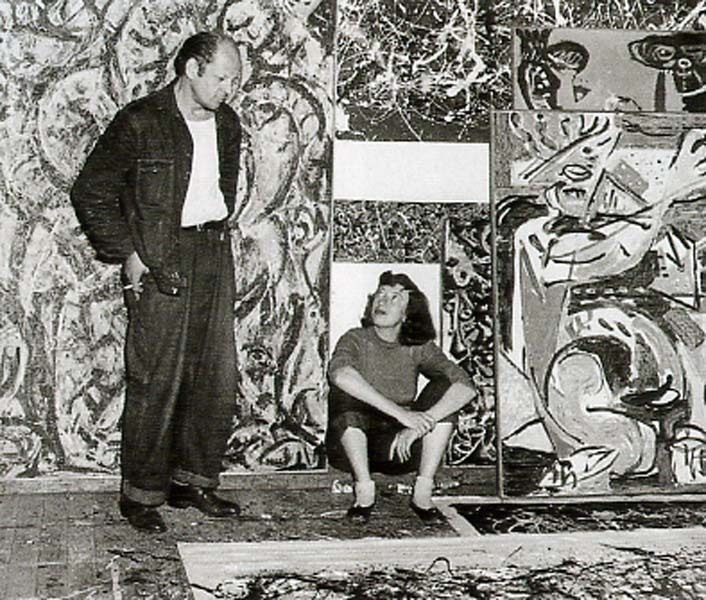 The production features: Chris Lane as Jackson Pollock, Andrew Vaught (Cripple Creek Productions) as E. E. Cummings, Kathleen Halm as Lee Krasner, and JeAnne Swinley as Rebecca Cummings. ee cummingsNew Orleans playwright, Adam Falik approached me about writing the music for his recent original libretto, ee me and pollock thee. The work is set to be performed in New Orleans in the middle of November. The production will involve conductor Francis Scully (New Resonance Orchestra) who conducted my previous opera, Bang The Law. It will also involve actor, Chris Lane who played the lead acting role in Bang the Law in November 2009. It looks like it will be partially operatic and partially melodramatic. "The opera is in intermezzo form- originally intended to go between the acts of another work. However, it seems that current economic restraints have directed things on a new course. The original, satirical, pieces are 2-5 minutes long and detail the exploits of a couple of New Orleans lawyers as they travel through the class detritus of modern day New Orleans. It is scored for 4 singers (2 baritone, soprano, mezzo-soprano) piano, violin, and flute. To these central segments I have appended a theatrical segment to precede the opera segment. It’s characters are the same as the opera segment and would detail their more naturalistic behaviors while the operatic sections would be indicative of a more internal, emotional side of the same character’s personality. To the back end of each opera segment will be added a dance episode which will further develops the characters by showing how fast they imagine themselves to be moving through the world.